Home » Our Doctors » Taka Nomura O.D. Dr. Nomura has built his practice on dedication to his patients and to the community. After graduating from U.C. Berkeley in 1975 with a degree in Neurobiology, Dr. Nomura went on to earn his doctorate from U.C. Berkeley School of Optometry in 1979. In his continuing education, Dr. Nomura has completed extensive training certifying him in ocular therapeutics. 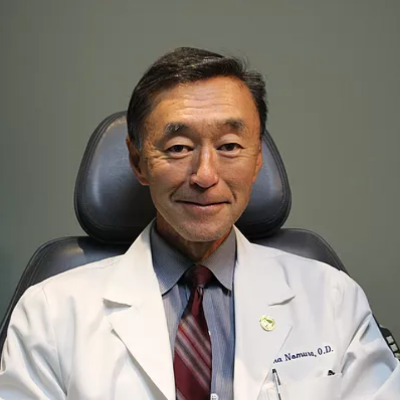 Dr. Nomura was recently awarded Optometrist of the Year by the Santa Barbara Independent. Dr. Nomura and his wife have a son and daughter, now both college students.